Breakfast, Wi-Fi and late check-outs are the three most coveted value-adds corporate travellers want from hotels, based on the findings of a recent global study by Corporate Traveller, a division of the Flight Centre Travel Group. The top five value-add inclusions for a hotel stay worldwide are, in order of preference: breakfast, Wi-Fi, late check-out, a room upgrade, and early check-in. The Corporate Travel SmartSTAY survey shows hotel destinations in hot demand this year include London, New York, Dubai, Cape Town and Milan. When booking hotels, the results reveal that corporate clients expect a broad choice of properties, ranging from high-end to low-cost hotels, and catering for all types of company budgets. Commenting on the findings, Corporate Traveller General Manager Oz Desai said the wish-list of South African corporate travellers is on par with global trends. Staying healthy while travelling for business can be a challenge: airports are packed with tempting fast-food options, and business dinners often entail cocktails and wine. “It is important for business travellers to start the day with a healthy breakfast to balance out unhealthy choices during the day. The good news is that 85 per cent of hotels in the SmartSTAY programme offer a free and healthy breakfast,” he says. Providing free and fast Wi-Fi has become a non-negotiable for corporate hotels in 2018, Desai maintains. In 2016, the Global Business Travel Association Hotel Technology Study found 55 per cent of business travellers used their in-room Internet for business purposes for at least one hour each day. Not surprisingly, the GBTA said travellers wanted Internet access that was free and fast. Two years later, business travellers still value Wi-Fi packages. They appreciate it so much that studies show more than half of business travellers would pay out of their own pockets for faster Internet at their hotel. 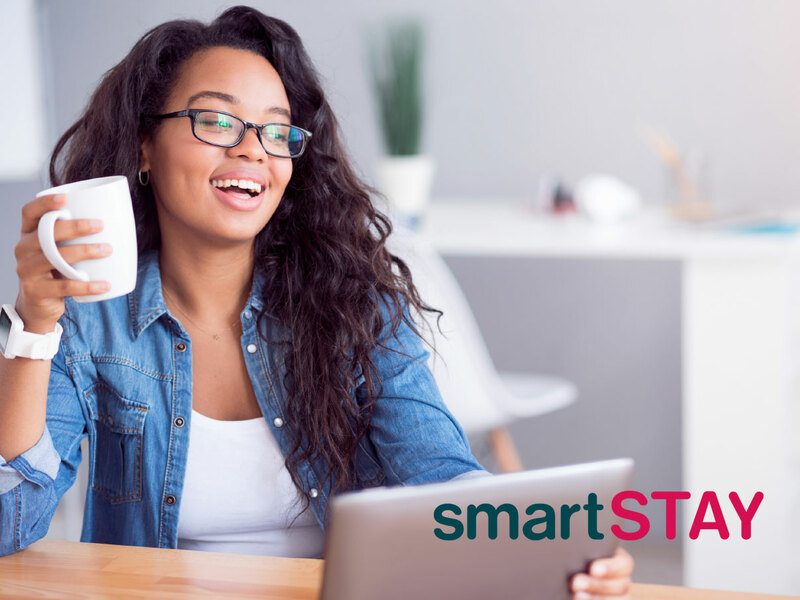 With SmartSTAY, corporates don’t need to spend a dime, as 95 per cent of hotel listings featured in the SmartSTAY programme provide free and fast Internet services. Whether corporates travel for business frequently or not, hotel accommodation is a significant factor when it comes to their happiness, Corporate Traveller’s study confirms. “It is important for their home-away-from-home to have certain features that will not only keep them safe and comfortable, but that create a productive environment… A room upgrade can make a big difference and make the traveller feel more comfortable, especially when they are up all night communicating with colleagues in a different time zone,” Desai adds. Most business travellers will know the anguish of arriving in the early morning after a long overnight flight, only to find check-in at their hotel is from 3pm. Corporate Traveller’s SmartSTAY programme is specifically designed to address these pain points and includes additional perks that make the traveller’s stay more comfortable with a quick and painless check-in process. A recent Hilton Hotels & Resorts survey found the majority of today’s new road warriors (travellers between the age of 23 and 35) consider business travel a work perk. 65 percent said it was a status symbol. Unlike the image of the tired road warrior, 56 percent admitted to coming up with reasons to travel for business. To keep these warriors happy and productive, certain luxuries are essential, says Desai. Companies also save more.